The Michell PCMini52 relative humidity (RH) and temperature probe provides accuracy and stability in a package that is small yet tough for harsh environments. Widely used for applications including controlled environments, precision manufacturing and meteorology, the instrument comes with a range of options to match usage requirements. 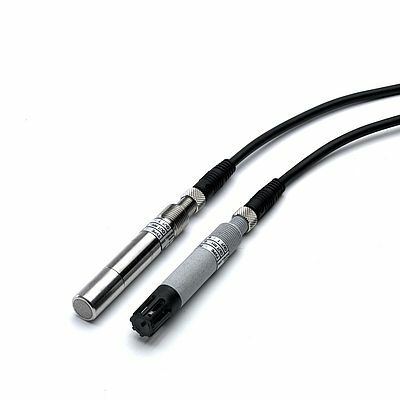 The product utilises a thin-film capacitive sensor, designed for extremely fast response and long-term stability for repeatable measurements. The design provides a large capacitive response to small changes in humidity which, in turn, makes the sensor highly sensitive to even small changes in humidity. Digital temperature compensation further ensures excellent device linearity. The electronics are coated in a protective resin to ensure high reliability even in damp and harsh environmental conditions and it has the option of a stainless steel housing for added strength and robustness.